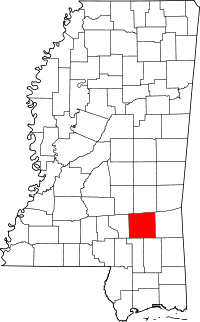 Jones County, formerly Davis County, and Jones County again before that, has its Chancery Clerk's office located in the county seat of Ellisville, formerly Leesburg, and Ellisville again before that; the area underwent a brief renaming period in the years following the Civil War. The Chancery Clerk's office is where the public should go to access the county's property records. Other vital records, such as marriage, birth, and death, are not kept at the county level, but instead are located in the state capitol of Jackson, MS, with the Vital Records Department of the State Department of Health. Records the department has on file, most of which are dated from the early 1900s, are available online via the department's website, over the phone at (601) 576-7981, through the mail, or in person at the department's office location. Additional inquiries can also be emailed to the department directly. Note: Each district office must be searched separately.